Best Practice Advice & Sales & Marketing for Professional Services & Strategic IssuesThe Planner: Fixing finances, the future, and feelings	Sales & Marketing for Professional Services & Strategic IssuesWhere's the money in wealth management? One of the biggest issues for advisers is encouraging clients to save for later now. Deferring instant gratification and the constant challenge of “we wants” is a significant hurdle, even in countries where compulsory or incentivised retirement savings schemes exist. A fascinating piece of work for any advisers working with retirement planning was done a number of years ago by Don Ezra, which became dubbed the 10/30/60 Rule, which is well worth pointing out to clients. 10% of what people spend in retirement will have come from their own savings, or contributions to a plan. 60% will come from what is earned on assets/funds IN retirement years. It is worth mentioning that when this piece of work was done in 1989 the focus was placed upon analysing the relative contributions to retirement spending from Defined Benefit retirement plans. Of course, such schemes have largely fallen by the wayside around the world over the last decade, replaced by Defined Contribution (DC) structures. Interestingly, in the DC environment the analysis suggests that there is a stronger leaning towards the 10/30/60 Rule being applicable. Remembering that it is only a “rule of thumb” with a number of variables which can distort the actual outcome, it is still useful as an information, or point of sale concept, for clients. It would be fair to say that most clients will have become aware of the effect of compound interest on their savings growth, because we have made a point of educating consumers about the impact of compound interest on long term savings. I think it would be equally fair to say though that relatively few clients understand the power and impact of the retirement plan, or investment portfolio, continuing to generate further growth post-retirement. 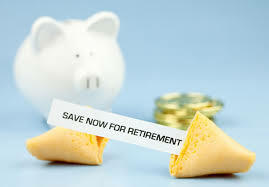 While the 10/30/60 Rule does not hold true enough to be a solid planning principle that can be relied upon perhaps, it is an extremely useful concept that is academically robust enough to use as an educational principle with clients that should encourage the growth of retirement savings plans without scaremongering tactics. Isn’t that what we want to achieve? All materials contained on this web site not otherwise subject to copyright of other parties are subject to the ownership rights of Tony Vidler. Tony Vidler authorizes you to make a single copy of the content herein for your own personal, non-commercial, use while visiting the site. You agree that any copy made must include the Tony Vidler copyright notice in full. No other permission is granted to you to print, copy, reproduce, distribute, transmit, upload, download, store, display in public, alter, or modify the content contained on this web site.